You can build up a detailed quote from our mobile App, simply select/add your customer and select a range of pre-populated products which allows you to build up the quote for the customers there and then. You can add new products as you go or work from a set of predefined list and costs, you can email the quote whilst your still on site and even add photos of the proposed work. All quotes are stored in your admin system for editing or actioning at a later date. 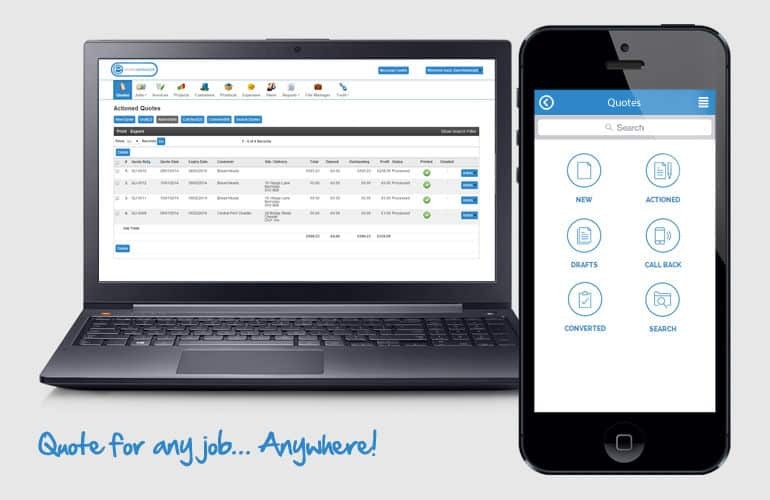 Our quoting system allows you to see all quotes and with our reminder system you can now chase up actioned quotes and try and turn those forgotten quotes into business. Full reports are available and you can view statistics on activity and success.